One of the biggest hassles committee members face organizing a class reunion is collecting money from Alumni. 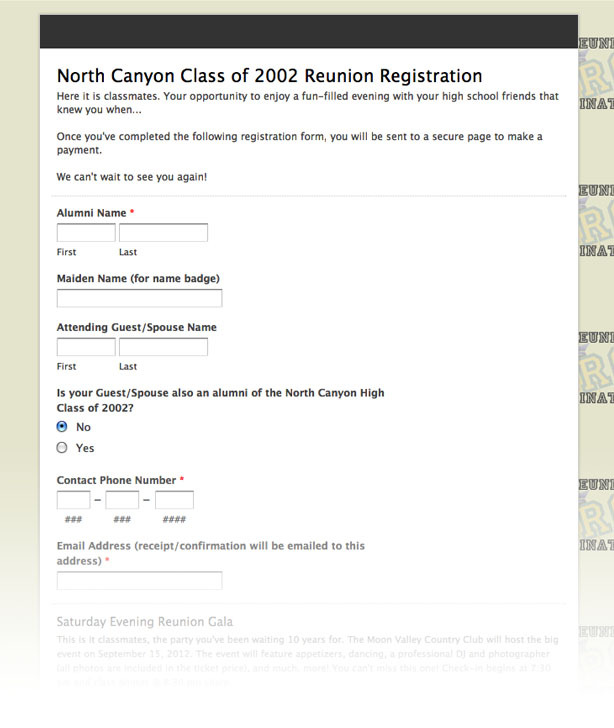 So, Reunion Coordinator will build you a custom online registration form that accepts all major credit/debit cards through PayPal to make the process a breeze! The Committee selects the venue, the ticket price and what information they would like per registrant and Reunion Coordinator does the rest...simple and easy!